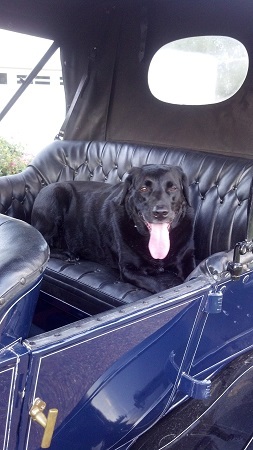 Model T Ford Forum: Man's best friend? 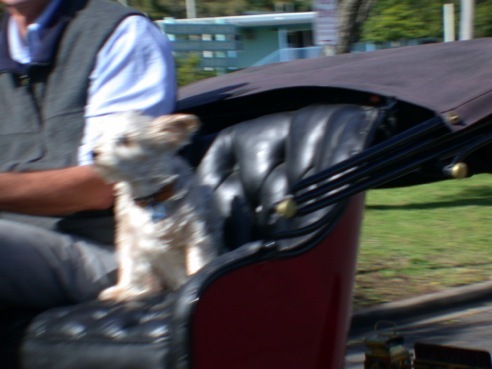 Model T Ford Forum: Forum 2013: Man's best friend? A week ago the temp was very cold. I had -24 at my place. I decided to let my dog (Drifter) in my new 30x48 heated Model T Gas Station. 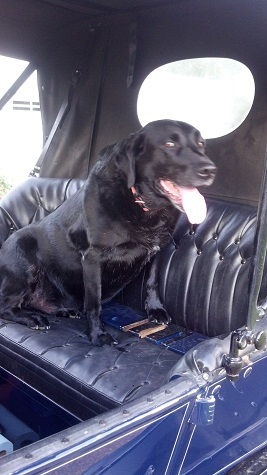 The dog repayed me by climbing into the 1911 and ripping the back window and surrounding material out of it. I had checked on him several times as I knew he had bad habits when it came to seats. I spotted the damage to the car on a hunch he was up to no good. Thankfully he had not started on the leather seats. He also knocked down two Christmas trees I had in the windows earlier. No more critters allowed! A friend gave me a big igloo dog house after I cut him a couple loads of wood for his Christmas present. I knew better than to trust that dog. My fault. Sounds like it's time for a little Thorazine in his Alpo. Dogs are unpredictable. Many years ago (over 50) we were living in a small rental. There was another down about a block for rent for a lower price. It was about this time of year and got dark early. When I came home from work, my wife had dinner ready. I said,"let's go down and look at the house for rent before it gets dark. It'll only take about 15 minutes." We left the roast on the table and the dog on the floor. In those days, we cooked a roast and then used the leftovers for the next few days. It was about 5 days till payday. We became vegetarians for 5 days. Most of us who have had dogs in our lives know that they are likely to make their "mark" on our lives. Had some of those issues myself with my lab puppy when he got too big for his crate. Those incidences were followed by a couple of "intense discussions". Issues resolved. Now he is the best behaved dog I've ever had. Dogs, just like people, need to know the boundaries. And now when I have to leave, he has the run of the house. When I come home it is exactly like I left it...and I think he appreciates being inside a warm place rather than being stuck outside at -29 like it was this morning. Reminds me of the Bumpus' hounds on A Christmas Story. The brown dog I picked up a year ago,now he will take a leak on something sometimes,dont know why. But a scolding will last a couple weeks. But when I first got him and left him and the other 1 in the shop for a little while alone,he decided to chew on the air hose.That has 100Psi in it and a Quincy compressor on the other end of it.I came back about 10 minutes later the dog was in the far corner and the hose was hissing loud and the old Quincy was just humming along.No more air hose problems he learned his lesson. 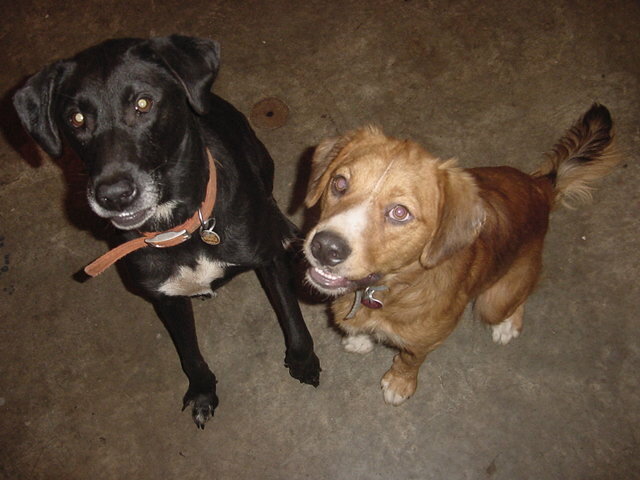 Runt the lab can stay all night in the shop and not hurt a thing,but that other dog,cant trust it that long .If I put 1 in the lot and 1 in the shop it would be constant barking as they don't like to be separated. Mebbe that air hose incident is what's caused yer doggie to spring the odd leak!! Lock your dog and your wife in the garage for four hours. When you let them out see which one still loves you! I'd love to take my dog, Shadow, in the Speedster, but I'm afraid she'd jump out. Do you have any sort of restraint on your Max, or did you train him to stay put? My wife wants to know what type of "adorable little dog is that"? Aaron, Loved your comment, Made me chuckle! 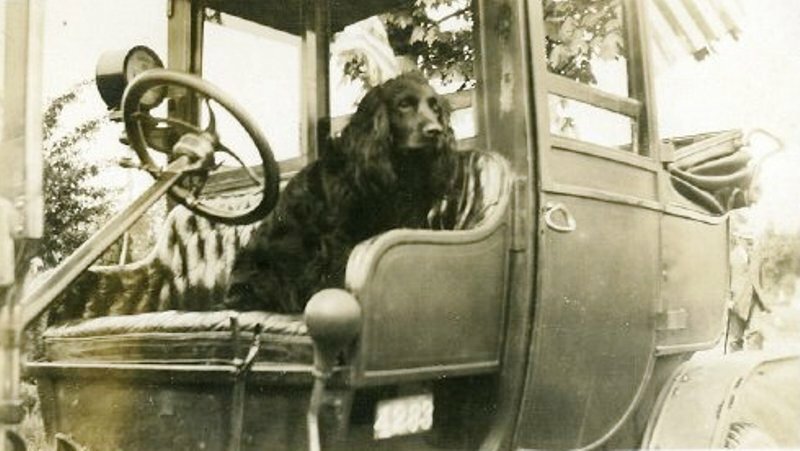 I took my German shorthair many mile in my touring car. She only tried to jump out once to catch a rabbit. I'm glad I didn't dock her tail, that all I could grab as she went over the side. I'll bet that rabbit is still wondering what the heck happened. My brother had a beautiful yellow lab. The neighbor stopped by one day if the dog could retrieve ducks. My brother told him; "I don't know, I don't know if I could even throw him that high." Thank you, thank you, I'll be here all night. Thank you! Will a dog jump out of a car that is moving fast? I always figured they are smart enough not too. A local friend of mine had a similar experience. He kept his dogs inside his garage with his unrestored 12' touring widetrack. It turned out that his dogs had a taste for the original upholstery and horsehair. it made me sick and it wasn't my car. I was on a golf cart going down a gravel road on our farm. I had my brothers dog Leo riding on the seat next to me. I was going about as fast as the cart would go when Leo (a rat terrior) must have seen something and took a flying leap off of the seat, hit the ditch and went for a roll! I stopped looked at him, he looked at me, I said "Leo get back on here". He got back on the seat and we went on our way. Angus was a rescue; he truly loves to ride! I lost my chocolate lab 6-8 months ago. She used to love to ride in the T and the TT. She would bound up into the TT without missing a beat. Running Board-Floor Board-Seat. 1-2-3. Just like that. Seeing all these labs is getting me to thinking about getting another. 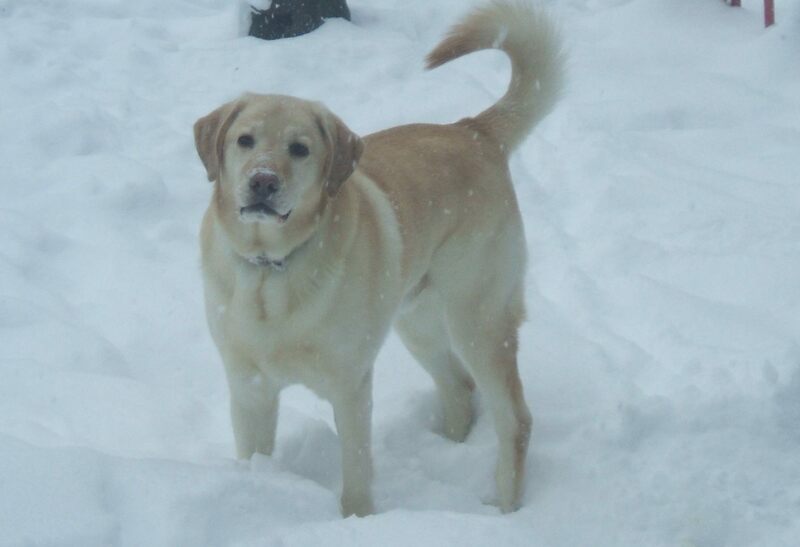 Just got back from the vet a couple of hours ago...Max my yellow lab has buggered his hip playing in the snow. Painkillers for the weekend, then x-rays on Monday if he still has a bad limp. This might be an expensive week.